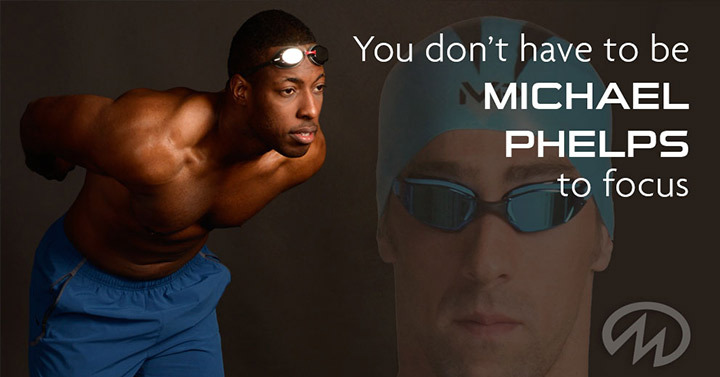 As a matter of fact, even Michael Phelps hasn’t always been good at focusing. 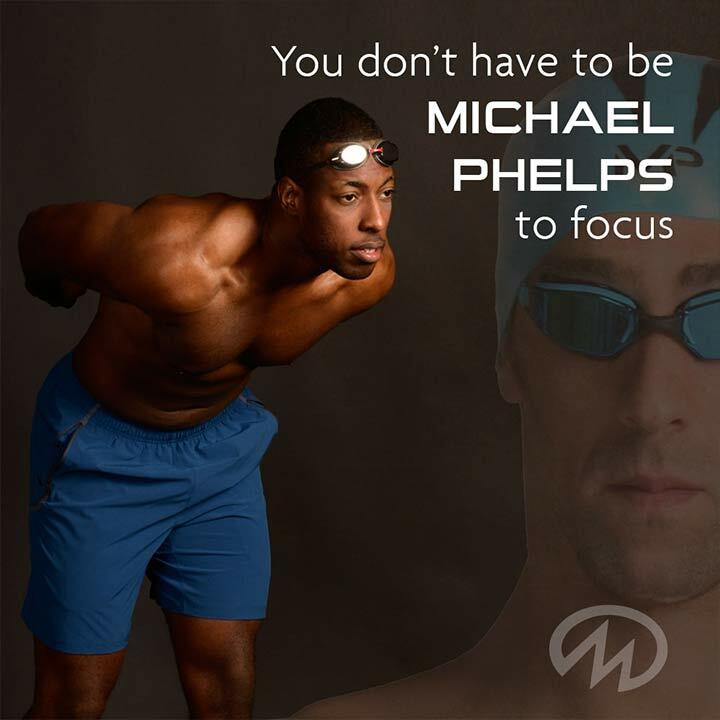 Michael Phelps struggled in school and was diagnosed with ADHD, but when it came to swimming he was able to focus. 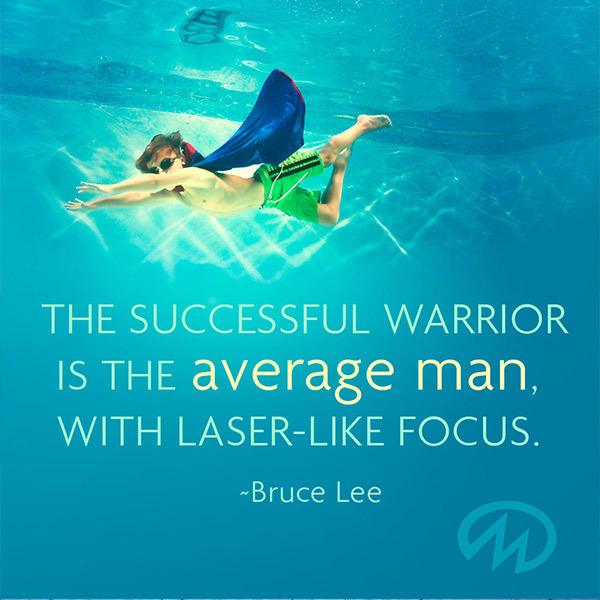 And if you think that he was able to focus while swimming because he was supernaturally gifted, you’d only be partially right. New international research commissioned by Speedo has revealed that swimmers agree that swimming helps to release stress and tension, makes them more confident about the way they look, and leaves them mentally refreshed. Another study conducted by leading research specialists Ipsos MORI examined the psychological benefits of regular swimming. The results revealed that getting in the pool is the perfect way to unwind after a busy day with 74% of those surveyed agreeing that swimming helps release stress and tension. You may be aware that stress can weaken our immune system, but did you know that stress can also weaken our brains. Swimming can help change your brain for the better by something called hippocampal neruogenesis — the growth of new brain cells in a part of the brain that is weakened by chronic stress. Participating in stress-relieving swimming can help to build stronger brain cells…and stronger brain cells make it easier to focus! If you’re looking to improve your focus, these 5 tips can help! Setting priorities is integral to planning your day. Schedule the most difficult tasks early in the day and the easier ones later. When prioritizing your day, make a list of your required tasks. This will keep you organized as you tackle each and every issue. 2. Limit distractions and interruptions. Keep your work area as free from distractions and interruptions as possible by maintaining quiet surroundings. 3. Complete duties in the easiest way possible. For many tasks, there’s more than one way to achieve a satisfactory, or even exemplary, result. Pick the way that is easiest for you to get the desired result. You may need to experiment to find what works best for you! 4. Keep a motivating picture nearby. It’s easy to get distracted from the task at hand, but when you’re working on something important to you, having a motivating picture can remind you of why it is important to stay focused. Perhaps it motivates you to think of how your work helps you to take care of your family. In this case, a picture of your loved ones could be your motivating image. You might have a favorite affirmation, saying, or image of your main goal that motivates you to work harder, so a picture of this could remind you to stay on track. Your mind benefits greatly when your body is active. Exercise is a key factor in your ability to think clearly. While we’re partial to swimming and all the benefits it provides, any activity that elevates your heart rate and gets your blood pumping is beneficial! All blog posts are accurate at the time they are written, however product specifications may have changed since that time.